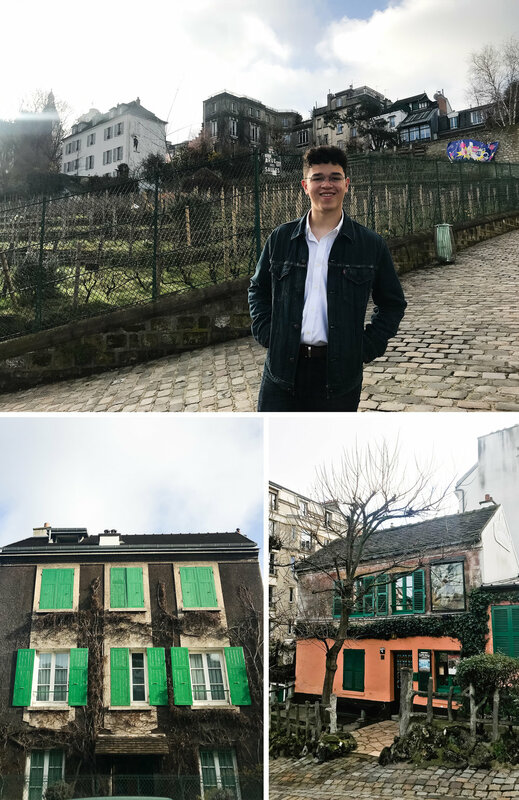 I went to Europe in the Month of March with my son. I had promised him a solo Mom and Son trip to whatever place in Europe he wanted and he chose Spain. 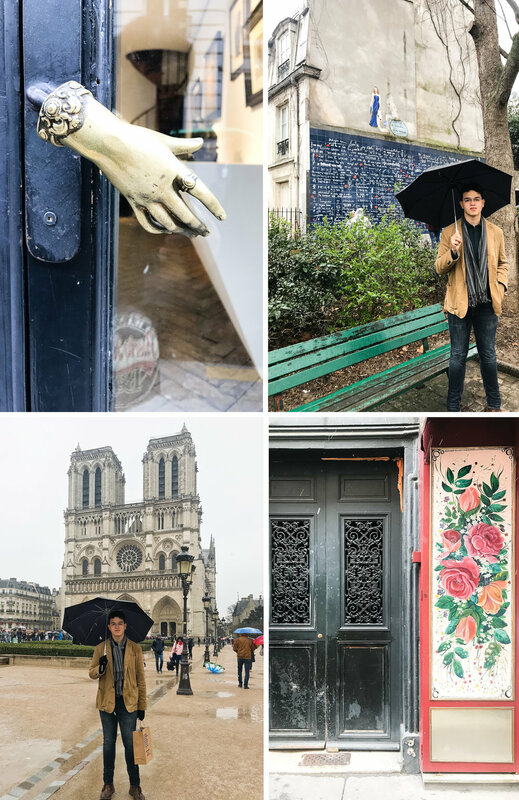 Because arriving to Paris was cheaper, we took andvantage and spent 2 nights there. I had already gone, but this was his firts time and he loved it. We arrived super early and it wasn't time to check in to the hotel which was in Montmartre. We took advantage and went to climb the stairs to Sacré-Cœur, we even had the pleasure to watch the sunrise on our way up, it was Magic. We then reunited with my friend Wanda (I talk about Wanda in this blog here and here). She is an amazing puertorrican artist living in Paris for a long time now. She took us on a very VIP tour of Montmartre where we stopped at the Clos Montmartre: Paris' Only Working Vineyard. In the early 30s a group of local artists led by Francis Poulbot, a famous illustrator, petitioned the government to grant them the land so they could replant the vines which were destroyed. Albert Lebrun's government approved the plan and Clos Montmartre was renewed in 1933. Now funded by the Mairie de Paris, it covers 1,556 sq m and yields 1,500 half-litre bottles of gamay and pinot noir annually. Most of the wine, in bottles with labels designed by local artists, is auctioned for local charities during the festival, and is considered "decent enough" by critics. Then we headed to the Louvre and with Wanda, which was our personal tour guide that day and I can't thank her enough for the wonderful time and knowledge. There is difference in going to a museum just to admire and going with a guide which provide you so many facts and details. The rest of the trip was spent eating and browsing the streets of Paris like true Parisians. 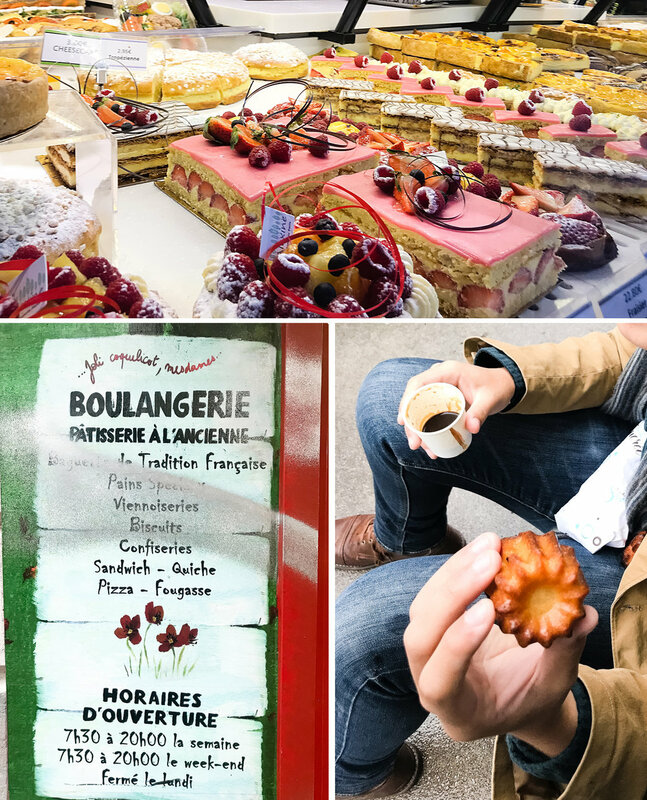 We went to cafes, bistros, restaurants, boulangeries and patisseries, it was heaven. We even had the pleasure to get a little snow and watch Paris transform in magic. Of course, as always, I was amazed by the street art. 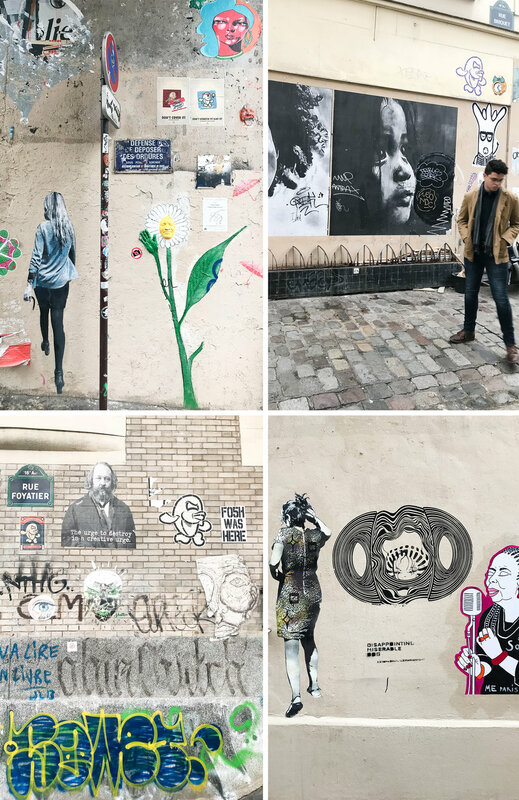 Paris street art is raw, honest and authentic. Wanda had a very good book with her and she is a real Parisian, but even residents can benefit of a guide book with facts. I think it was this one, I will definitely recommend it. 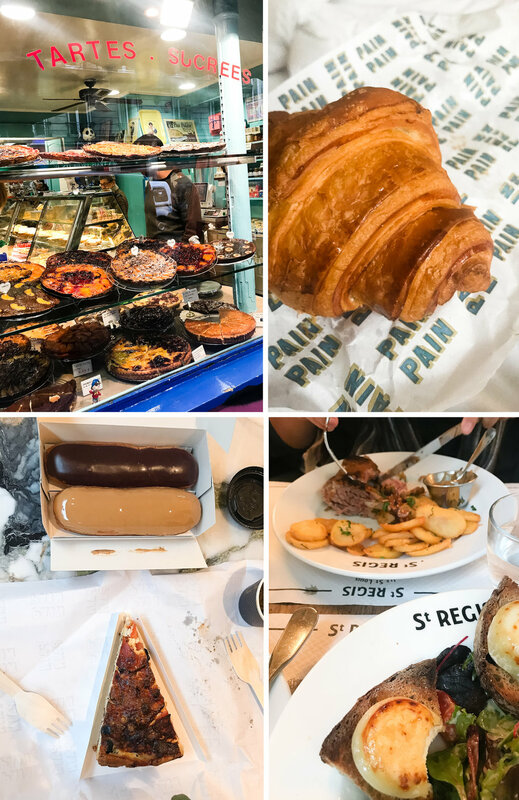 1- Pain Pain in Montmartre - Croissant and Tartine where the best, eclairs not so much. 3-Boulangerie Alexine, Montmartre - Apricot Flan and Cannelle...they were superb! 4- Cuillier Coffe Shop, Montmartre - Coffee is excellent. 5- Le Saint Regis Restaurant - Duck confit and salad with fresh goat cheese, both very good. I recommend strolling the streets, there is a lot of markets, you can buy fresh cheese, fruits and make a nice picnic. Also stores at Montmartre are awesome, super stylish and very unique. 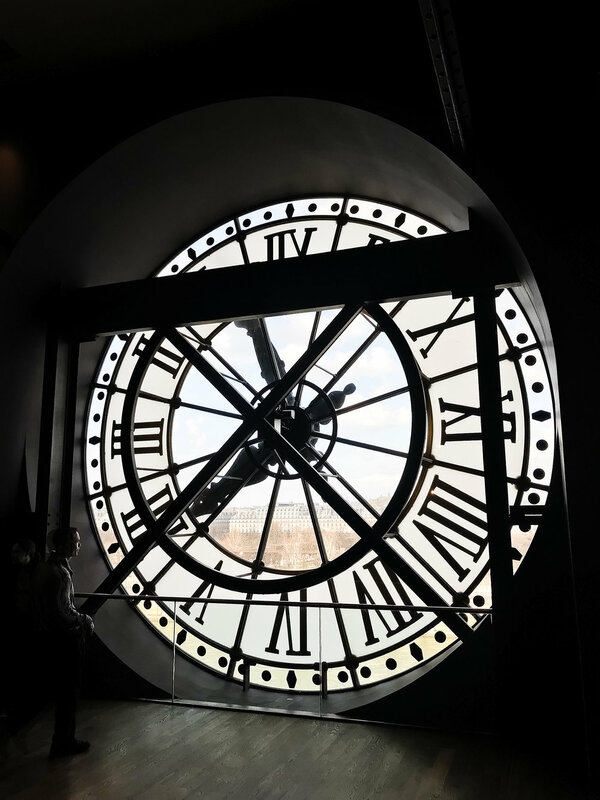 We had a blast in Paris, and it prepared us for the Spain adventure that I will post in a couple of days.